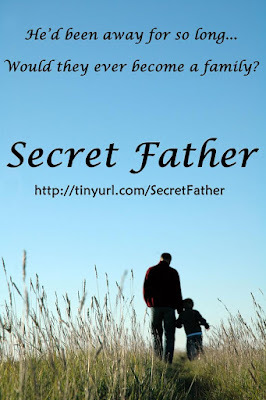 Secret Father: A Sweet Romance by renowned storyteller Suz deMello. When Linda Travers was fourteen, Dave Madsen, then age seventeen, rescued her from a snowy death. They later met at an end-of-term party at their college and lost their virginities to each other before Dave left the country. And now...Despite spending her teenage years mooning over Dave, Linda Travers has moved on with her life. Being left pregnant and alone will force that on a gal. Age twenty-five, she lives in their hometown with their six-year-old, Mac. Then Dr. Dave Madsen reappears. He's spent the last years exploring in the Amazon, searching for new plants and medications. A vicious snakebite has left him needing rehab from the only physical therapist around—Linda. This was a sweet romance read. This is the story of Linda Travers and Dave Madsen. Their story goes back to when she was 13 and Dave saved her life. She loved him from there on out. When they meet in college and sleep together, he had no recollection of who she was. Their one night stand at the end of their college careers left her pregnant and alone. Dave jutted of to the Amazon to follow his dream. Linda's life however had drastically changed. Now, six years later, a physical therapist, she is shocked to realize her new patient is none other than Dave. Now that Dave is back, Linda must come clean and tell him about Mac. Dave definitely wants to become involved in Mac's life. But poor Linda had some real conflict. And I could understand it. But she couldn't repress the nasty little voice, the voice of her anger. She had been the one to shoulder all the burdens of Mac's demanding, early years: night after sleepless night of colic, followed by day after day of juggling home, work, school, and baby while other kids her age partied. And here was Dave, returned from the wilderness like an injured hero, reaping the benefit of her hard work and stress. Now that Mac was in a delightful, fun stage, Dave could enjoy his son without having to teach him to talk, to walk, or to eat properly. He never had to wash food out of Mac's hair or off the floor. She couldn't imagine Dave dealing with diapers or chickenpox. Linda's insecurities about losing Mac to Dave made her crazy. She shut herself off, often not sharing her feelings with Dave. But Dave wanted to work through everything and become a family. Linda was also afraid that once Dave was healed, he'd trek back off to the Amazon, breaking her into pieces again. But Dave tries hard to make things work. Can they become a family? "I felt a drive to possess all of that by taking you. Where does love come from anyhow? Aren't desire, need, admiration and the drive to have, take, possess the beginnings of what we humans call love?" I loved these characters and really enjoyed this story! Highly recommend. Best-selling, award-winning author Suz deMello, a.k.a Sue Swift, has written seventeen romance novels in several subgenres, including erotica, comedy, historical, paranormal, mystery and suspense, plus a number of short stories and non-fiction articles on writing. A freelance editor, she’s held the positions of managing editor and senior editor, working for such firms as Totally Bound and Ai Press. She also takes private clients. Her books have been favorably reviewed in Publishers Weekly, Kirkus and Booklist, won a contest or two, attained the finals of the RITA and hit several bestseller lists. A former trial attorney, her passion is world travel. She’s left the US over a dozen times, including lengthy stints working overseas. She’s now writing a vampire tale and planning her next trip. All proceeds go to Avon Walk for Breast Cancer! ONLY $2.99 FOR 8 STORIES!!! Pink Shades of Words is a collaboration of 8 never before seen short stories from 8 New York Times, USA Today, and International Bestselling Authors. These authors came together to bring you a collection of romance that is a must read including New Adult, Contemporary, Erotica, and Dark Romance.